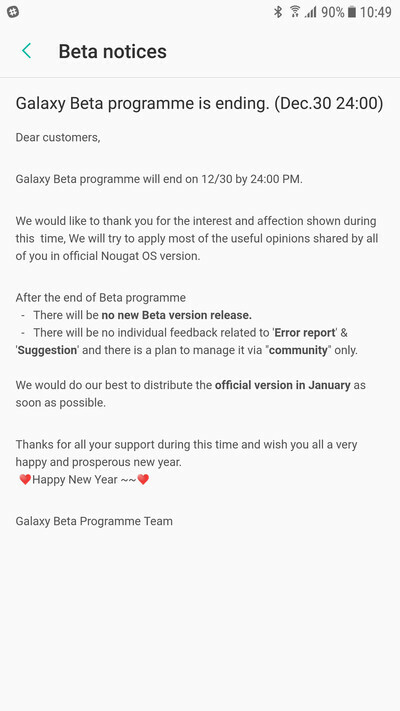 The Galaxy Beta Programme by Samsung ended today and it finally ended all the Beta Previews of upcoming Nougat update. Now, the question arises when the users will be able to get the final update of the Android Nougat. Well, the company has officially confirmed today that the Android Nougat Update for Galaxy S7 and S7 Edge will be rolled out in January ( Probably at the end of January).